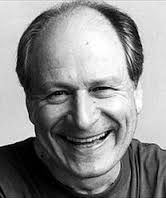 David Margulies (1937-2016) | What to Watch. This show introduces the Special Victims Unit, a new elite squad of NYPD detectives who investigate sexually related crimes. This entry was posted in 2016, Actors, films, Lists, movies, Tv shows and tagged All Good things, David Margulies, film, films, Ghostbusters, Ghostbusters II, IMDB, law & order, Law & Order Special Victims Unit, list, movie, movies, Special Victims Unit, The Sopranos, TV series, Tv shows. Bookmark the permalink.